Following last year’s ‘Novice Driver Award’, where former motocross rider Carl Shield was awarded £2000 towards future circuit racing for his achievements in the 2016 Tegiwa M3 Cup, the 750 Motor Club is delighted to announce that John Miles will sponsor a prize once again during the Club’s 2017 season. After a succession of prizes for both engineering and driving talent, this year John will once again look towards the more youthful members on track. The former F1 driver and development maestro will attend a number of 750 Motor Club race meetings throughout this season to pick a winner for the ‘2017 John Miles Young Driver Award’. The prize is twofold; John will once again donate a generous £1000 cash prize to the winner, and the 750 Motor Club will match this amount in credit against entry fees for the 2018 season. In order to qualify for the award, the driver must be aged under 30 on 1st March 2017, be competing at a minimum of five 750 Motor Club race meetings this season, and must have less than three years’ worth of circuit racing experience as of 1st March 2017. Prior to transitioning towards a long and successful career in automotive engineering and development for both road and race cars at Lotus, Aston Martin, and Multimatic, John’s past achievements were as a driver of considerable repute. Having graduated from Formula 3 and GT racing at Team Lotus, he went on to race in the European Touring Car Championship as well as international sportscar events, and won the 1971 RAC British Sports Car Championship. 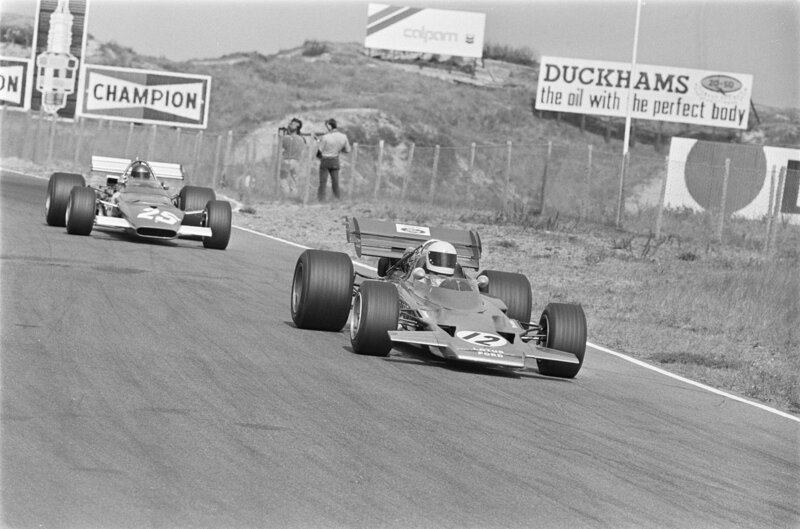 This was in addition to his F1 period; starting a total of 15 Grand Prix and coming away with a best finish of 5th place in the 1970 South African GP.